I did the same thing with an old bass tracker. Added a 15hp tiller. Yours appears to be in better shape than mine. Update: Removed the floor and the waterlogged Styrofoam.. Bet the boat weighs 75 pounds lighter. I could not believe how waterlogged the foam was, like a sponge. I'm eyeballing your console. Wonder if it's something I could utilize if I take the plunge and buy another boat. Funny thing is I sold my last one cause I don't fish anymore. 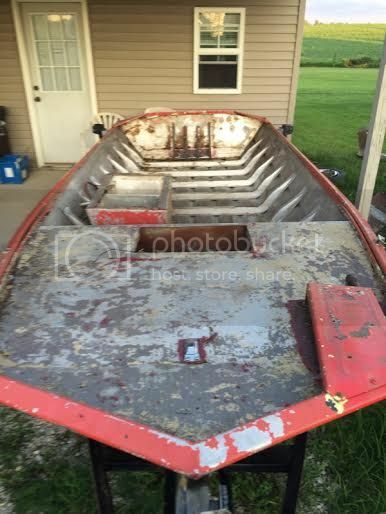 I just like the idea of putting a boat together after seeing all these great projects. I had at first thought about using it, but decided to go tiller steer. I bought a 18HP Evinrude that I will be using on the boat. Mostly river fish and wanted a motor that I could easily take off to fish the small lakes around me that only allow a trolling motor. So the carpet was originally on top of the aluminum floor? Wonder what gauge al it was. Not sure the thickness... It looks to be the same thickness as roof flashing... Not very thick at all. Just found this reference on the internet. I'm still debating on what material to use on the floor. I really want to use aluminum, would love to have the boat ALL aluminum. I am going to put foam between the floor "Ribs" Framing. 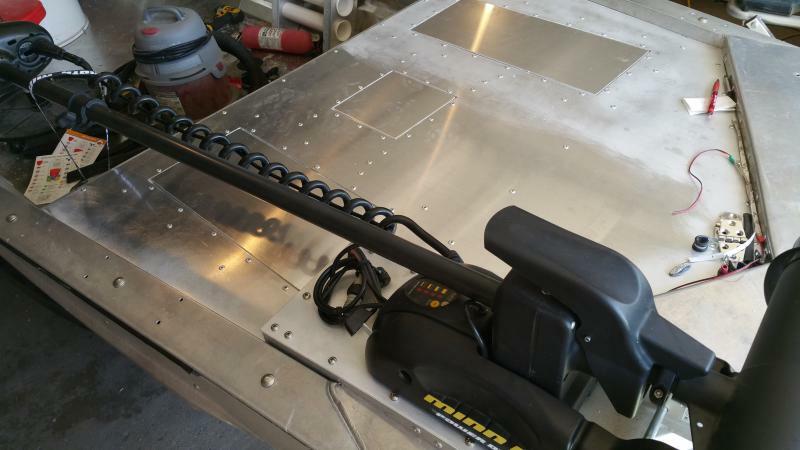 Do you think 16 gauge aluminum would be thick enough if I rivet it to the Ribs. The original was 20 gauge, but it was bent between the ribs. I'll let others, more versed in which aluminum gauge would be best ,...answer. I will say, however, that I added blue foam sheets in the cavities below my flooring. It certainly stiffened everything up great. I'm buying a v hull tomorrow and I'm thinking all aluminum floor too. And maybe something other than carpet. With enough stringers the gauge of the floor would not need to be overly heavy? I'm doing the same thing with 17' bass tracker. Getting close to being done. 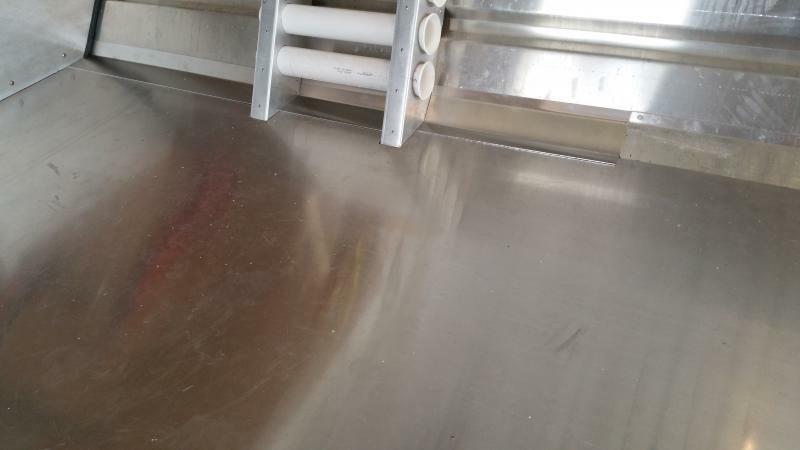 Used 1/8" aluminum on the floor. 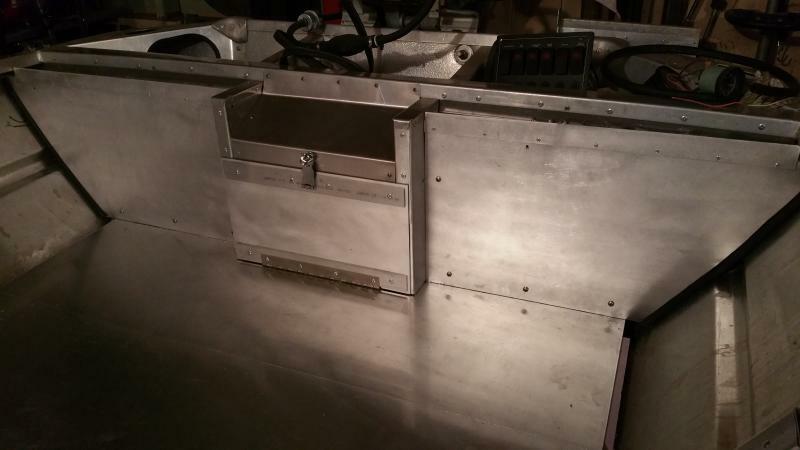 To fill in the gaps along the sides I bent some aluminum sheets for fillers. 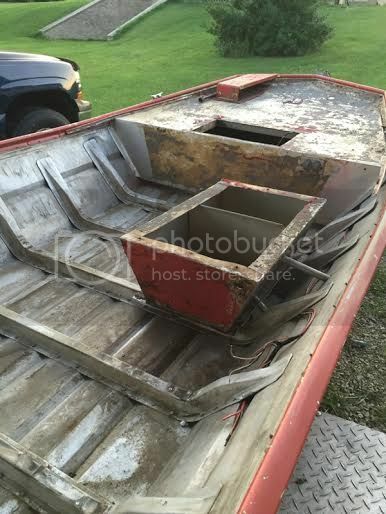 Removed the console,and bought a tiller for my 50 Honda. Completely removed the rear deck,and shortened the front deck 2'. Modified that ugly nose cap,and moved the trolling battery and fuel tank to the front for better balance. The floor is now 12' long,lots of room. I bought hydroturf for the floor to quiet it down and keep it easy to wash slime off of. Took a lil work,but managed to get 14 cu. ft. of foam board stuffed into this build. You just made up my mind on what to do.... 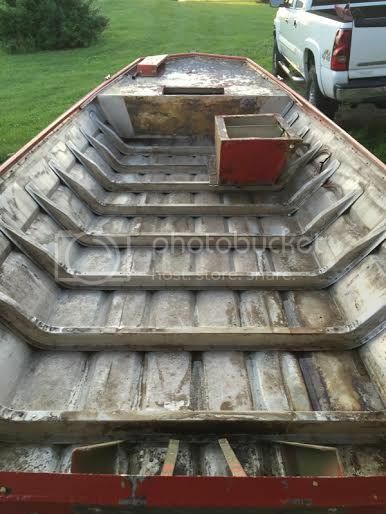 I'm going aluminum, you boat is a Lot like mine and yours looks Awesome!